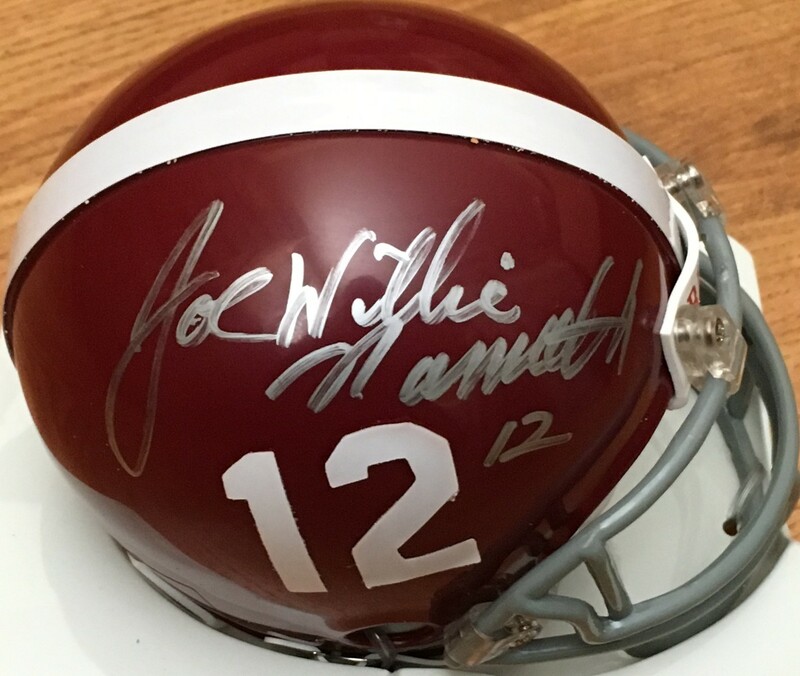 Alabama Crimson Tide Riddell throwback (with 2-bar facemask) mini helmet autographed in silver including his middle name (Joe Willie Namath). Obtained in person. With certificate of authenticity from AutographsForSale.com. ONLY ONE AVAILABLE FOR SALE.